Today, I’m participating in Mama Kat’s Writer’s Workshop. The prompt I chose was a challenge to open a blank blog post, then right click and paste. And that actually leads to a blog post that I was planning to write in the near future anyway. That sentence was part of a letter I wrote yesterday to the Dare County (N.C.) Water Department. I had edited the letter and moved that sentence to the end, thus the “right click, cut, copy and paste”. As some of you know, Motor Man and I own a beach house in the Outer Banks. We had been down there the last week of December, and didn’t go again until the first week of March. We knew the thermostat was on the lowest heat setting, so we weren’t too concerned about frozen and burst pipes. But, when we got there, we immediately heard water running down the sewer pipe in the garage, and we thought “uh-oh”. As we headed upstairs, and checked the bathrooms, there were no problems. Until we opened the door to our bedroom. And heard water running. When we walked in our bathroom, we saw that the suction-cup magnifying mirror (a necessity for me to put on make-up, put in my contact lenses, etc.) had fallen off the vanity mirror. As it fell, it struck the faucet handle, turning on the water. Thankfully, nothing had blocked the drain, so none of the water (for however long it had been running) had flowed over the basin. Dare County only sends out water bills every three months, so, although we had no physical damage, we waited to see how much financial damage that little mirror had caused. The bill arrived earlier this week. So, we’ll wait to hear Dare County’s reply to my letter, and I’ll let you know how this ends. Even if they don’t offer us a discount, we’ll just look at it as a funny $419.87 story that we can share. I thought this was a great writing prompt, so let’s have a little fun. When you leave your comment (you ARE planning to comment….? ), right click and paste to see what appears. Explain if you like, or just leave us wondering. This entry was posted in Family and tagged mama kats writers workshop. Bookmark the permalink. Ah yes! We remember you telling us about this little “issue” – hope that you can get it worked out with your letter providing them the explanation!! Good luck on that water bill!! What a fluke that the mirror would hit the faucet just right to turn it on. Aren’t you glad it wasn’t the HOT water faucet??!! You would have TWO outrageous bills to pay! Actually, June, it WAS the hot water faucet….fortunately, we religiously disconnect the water heater before we leave the cottage. Every. Time. We KNOW about water running don’t we? :> Glad it wasn’t worse than it is, and that’s bad enough. No flooding – what a praise! Hope you find a sympathetic ear for your water bill. I right click and paste all day, so I’ll pass on this one. It’s a wonderful tool…..
That is unbelievable that happened… seriously! Who would have thought? Surely Dare County Water could give you a break! Yikes! Well, at least there wasn’t any structural damage…except maybe to MM’s wallet. I hope you get a discount, Dianna. Oh no! Years ago we couldn’t get out to the farm. It was a busy month. 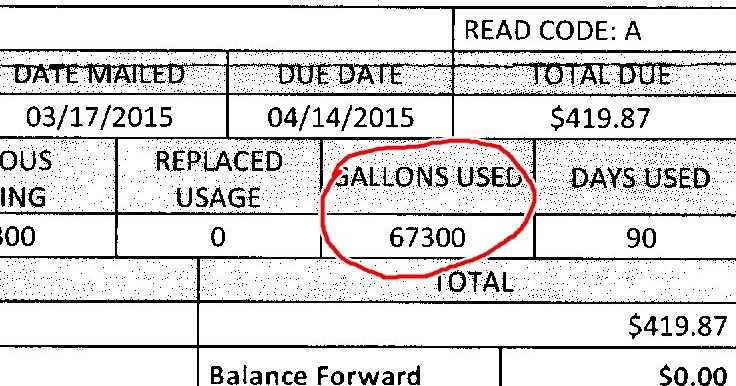 What did send us back promptly was the water bill…yikes…3 digits like yours. Who knew you would have to save the faucet from falling objects? I feel your pain and hope they have a reserve Acts of God fund to cover freak accidents. ooo…can’t like this one. We had a leak in the pipe from the street to the house and they gave us a discount. If you think of the possibilities of what could have happened, you are very lucky you just have a high water bill! well….that’s not too exciting! Just linked my blog to mama Kat’s – so it makes sense that right click/paste just gives you my blog address. I will stay tuned to see if you get a break – I deal with so many utility companies for my job, and find them as inconsistent as the personalities I end up with on the other end of the line! Love your header pic! My toilet was running last month and it turned out to be a $600 bill! Luckily the owners of my property discounted it to about $100, still a lot! I hope they do the same for you! Thank the good Lord there was no damage except of course the water bill. Hope they give you a break. Ooh no! Could have been worse. Wow! That is a hefty bill! We had a similar situation, but we were still on our own well water, The pump did crater the next year and Dave spent a week fixing it (thank goodness we have a backup pump). You talk too much.I’m out of here! Have a look at the last picture in Nellie’s Friday post and you will see its what Jo Jo said to Nellie! Oh man! What are the chances THAT particular mirror would fall and actually turn the water on? Sheesh! Usually companies are good about being lenient on first time mistakes like that. I hope they forgive the bill! Oh my gosh! I’m not sure what I would do about that. We had a huge bill a few months ago ($150…normally between $50-75), and I about had a stroke. I’ve been asking my husband for almost a year to fix the toilet – it likes to run after you flush and he hadn’t gotten around to fixing it. He did after that bill, though! I hope they take pity on you and make some adjustments. Hopefully the bill didn’t cause any medical problems! 😉 Knowing beforehand was probably a good thing. Thankfully all that water went down the drain and did not fill up the house! I hope they will help you out on that bill.